Angry residents in one Spencer County town come together against a proposed coal to gas plant in their community. They met at Dale City Council to voice their concerns and try to convince the council to oppose the facility. 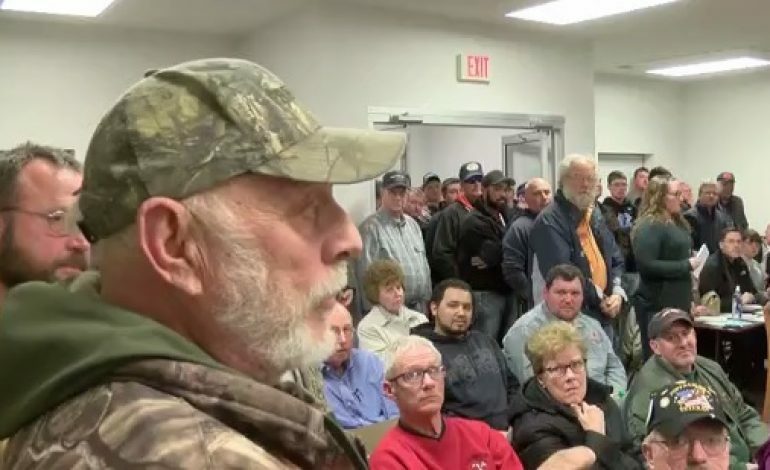 The controversy revolves around the proposed $2.5 billion coal to diesel plant in the town. It boils down to extreme environmental concerns vs jobs for the people in the town. The project, if it was to move forward, would create over 2,000 construction jobs and 225 full-time jobs to run the facility. However, a group called “No Coal to Diesel in Dale” raised environmental concerns over the plant and argued that the plan was approved without proper research. Union construction and boilermakers who would stand to gain a lot from this project openly supported it. Riverview Energy, the company involved in this project, says the operation would eventually produce 4.8 million barrels of diesel fuel and 2.5 million barrels of naphtha. Though, the company’s failed ventures of similar goals with different companies were called into question. The group has a website, No Coal to Diesel, that outlined their issues with the proposed facility. City officials will meet next Thursday at the Zoning Board meeting to discuss zoning of the property.